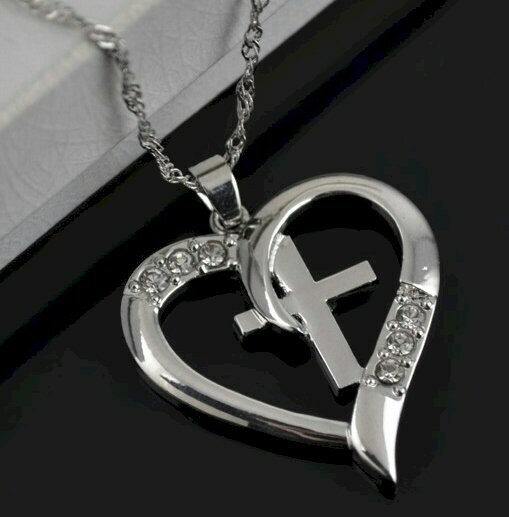 This Beautiful Silver Heart necklace that has a distinctive Petite Silver Cross inside a Delicate Silver and Crystal Heart. Comes with a really nice Serpentine chain with a lobster claw clasp. 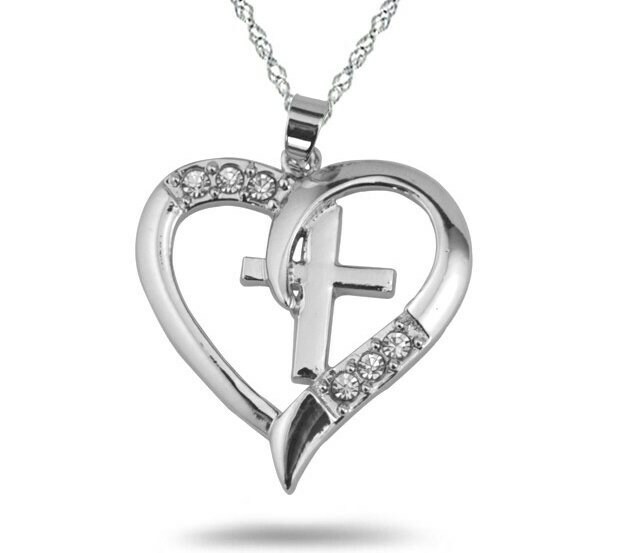 The Heart measures 1 1/8” high x 1 1/8” wide and comes with a beautiful 18" silver small link chain that adjusts to 20".